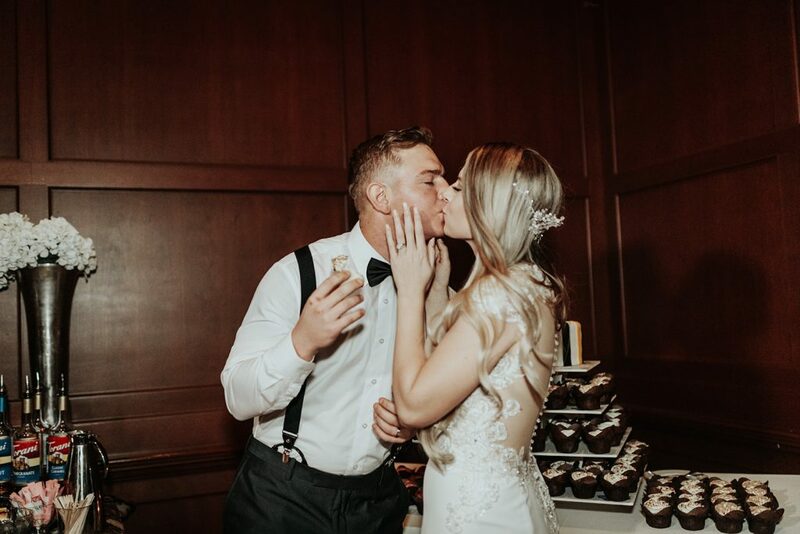 Emily and Kameron, who met in high school, were married on November 4, 2018. 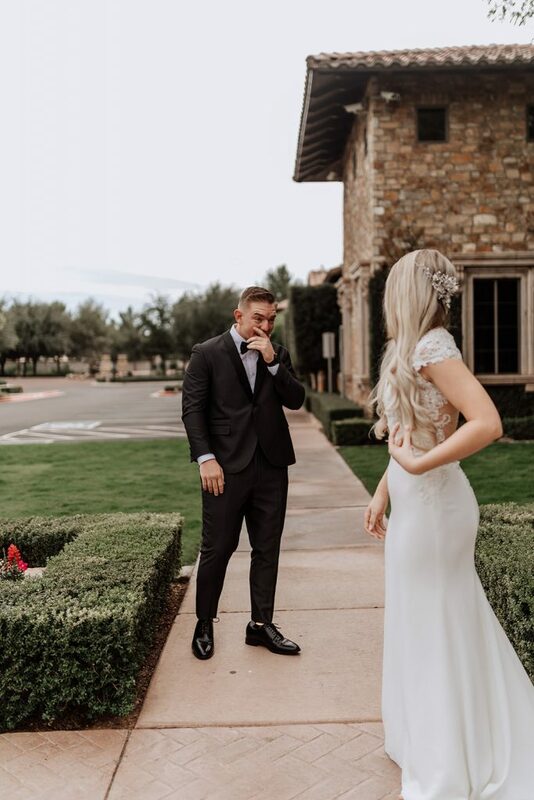 Emily selected an elegant short-sleeved sheath gown that featured a sweetheart neckline, embellished bodice and sleeves, an illusion back with button-down detail, and a train with an embellished hem. Her accessories included pearl earrings, a solitaire necklace, and a full-length veil. Her large bouquet was composed of white roses plus eucalyptus and other botanical elements. 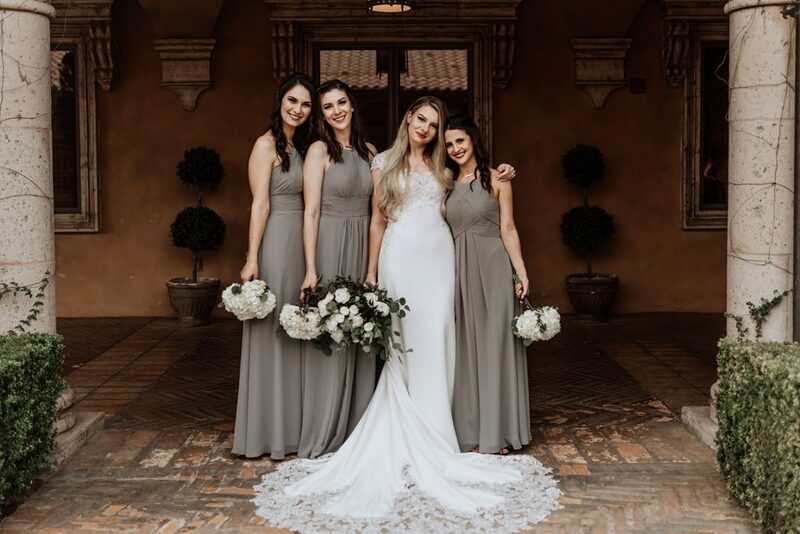 Her three bridesmaids wore coordinating full-length gray dresses, and carried small bouquets of white flowers with eucalyptus-leaf accents. Kameron looked sharp in a classic black tuxedo with a white shirt, black bow tie, black pocket square, and succulent boutonniere. 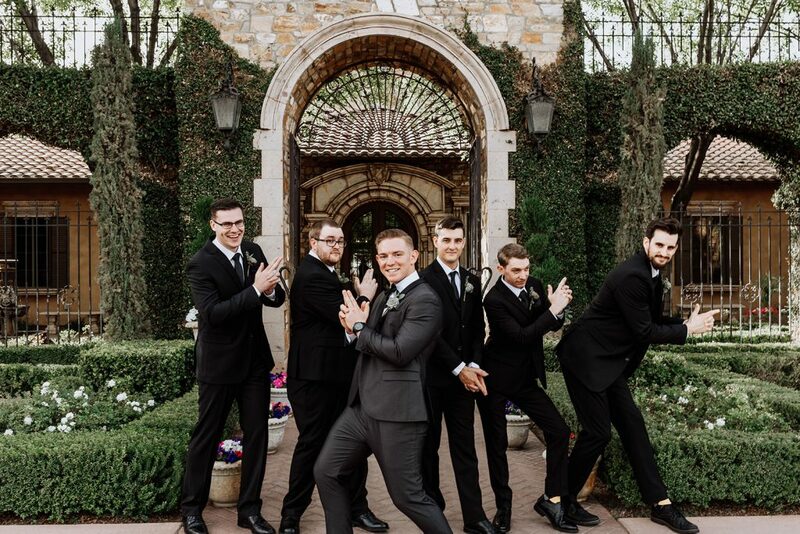 His five groomsmen dressed to match him, with full ties instead of bow ties. All the gentlemen wore matching Pittsburgh Steelers socks. At the ceremony, a poem was read, and the officiant talked about how the couple met. 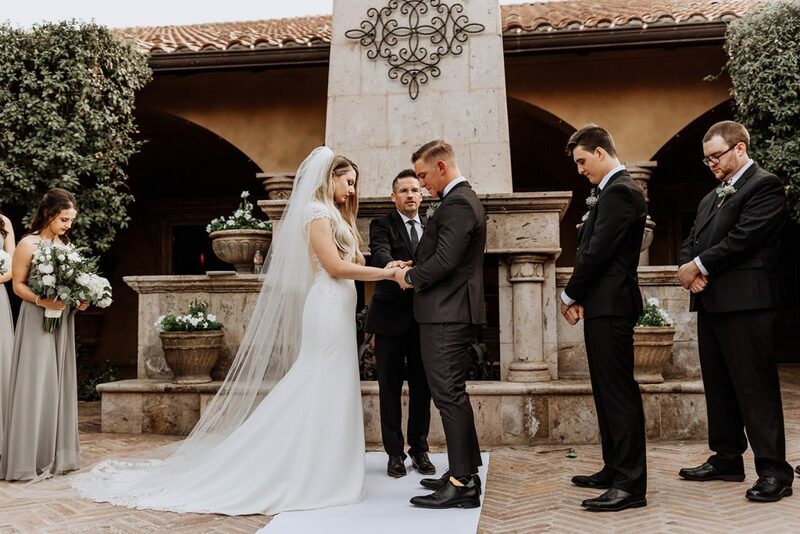 The bride and groom exchanged vows they wrote themselves, and then lit a unity candle to signify their new marriage. Inside at the reception, guests signed a picture of a tree in lieu of a guest book. The menu included a plated mixed-greens salad, followed by a buffet of grilled chicken breast, flatiron steak, angel hair pasta, and creamy mashed potatoes. The tables were decorated with wood panels underneath black lanterns and greenery. During the speeches, the best man talked about Kameron’s kindness, patience, and forgiving nature. 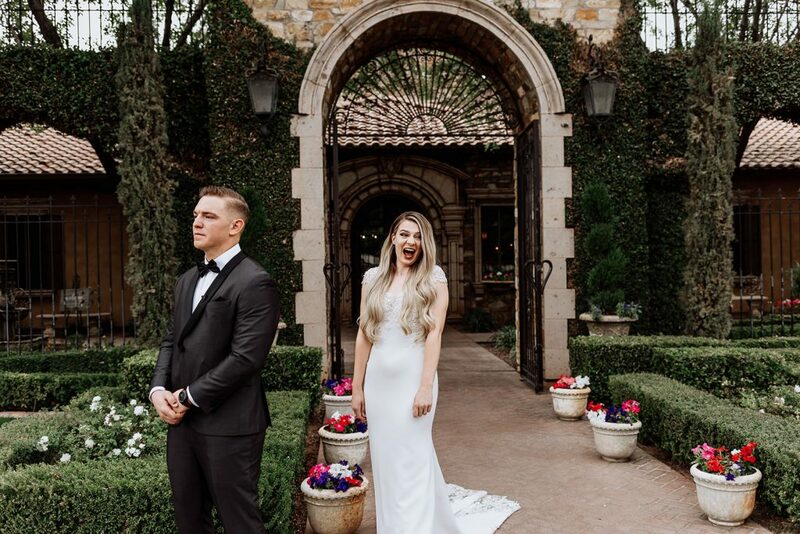 The maid of honor said that she knows that Kameron will always take care of Emily. Emily’s father said that she will always be his little girl. 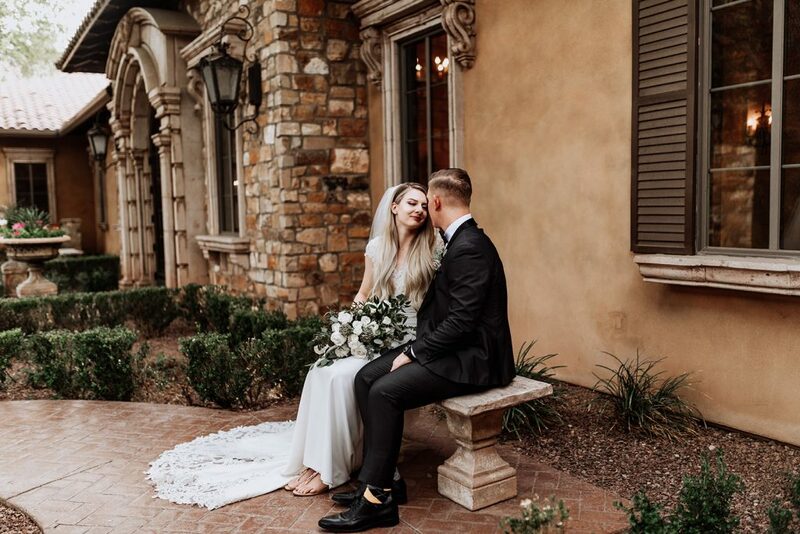 The newlyweds shared their first dance to “Route Around” by Rebelution. Emily and her father danced to “My Girl” by The Temptations. Kameron and his mother danced to “Stand by Me” by Ben King. In addition to cupcakes, there was a surprise Pittsburgh Steelers-themed groom’s cake. We wish the happy couple a long and beautiful life together!